MOTIVATED SELLER! 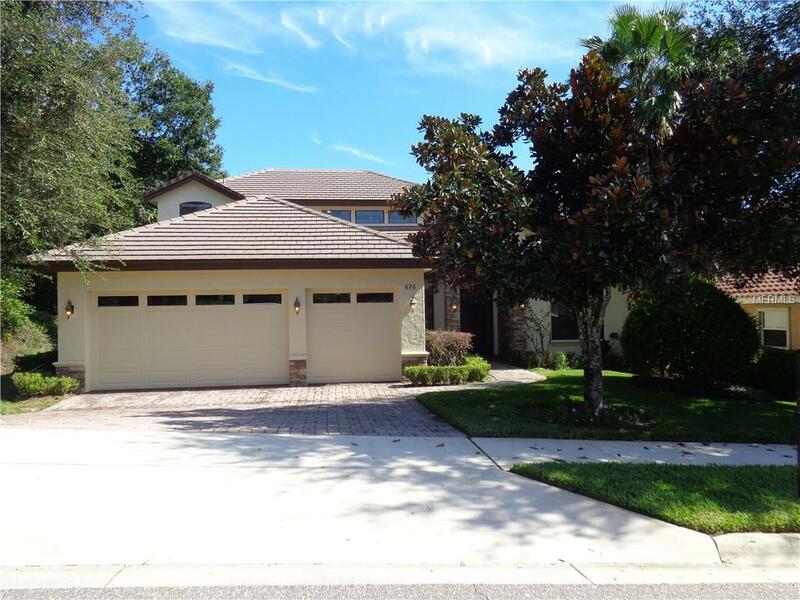 Beautiful custom built home in the gated community of Sanctuary Golf Estates. This home sits on a nice lot with no rear neighbors and private back view. As you enter this home you be delighted with a formal living room with coffered ceiling and a separate formal dining room space. Wood flooring throughout main living spaces downstairs. The great room is huge and features built in spaces and plenty of room for television, entertainment pieces, etc. Great window views to the back yard space as well. Kitchen is large and features wood cabinets and granite counters. Nice sized pantry with wood shelving! Built in oven with built in microwave and glass cooktop range. Center island with space for bar stools and a dinette space in the kitchen. Large laundry room with laundry sink and great storage cabinets. Master and en-suite are on the main floor and is quite spacious with views of the private back yard. En-suite features an amazing walk in shower with dual shower heads, separate whirlpool tub, dual vanities. Water closet is private and features a separate bidet. Walk in closet features built in shelving. Upstairs you will find the 3 secondary rooms and the 4th room can be utilized as a bonus room as it features a closet and door. Great under stair storage and a 3 car garage. Conveniently located near the 429/414 toll roads for an easy commute to Downtown Orlando or a quick route to Disney and the parks! Call today for your private showing! Buyer incentives with accepted offer!! Pet Restrictions Buyer To Verify With The Hoa.